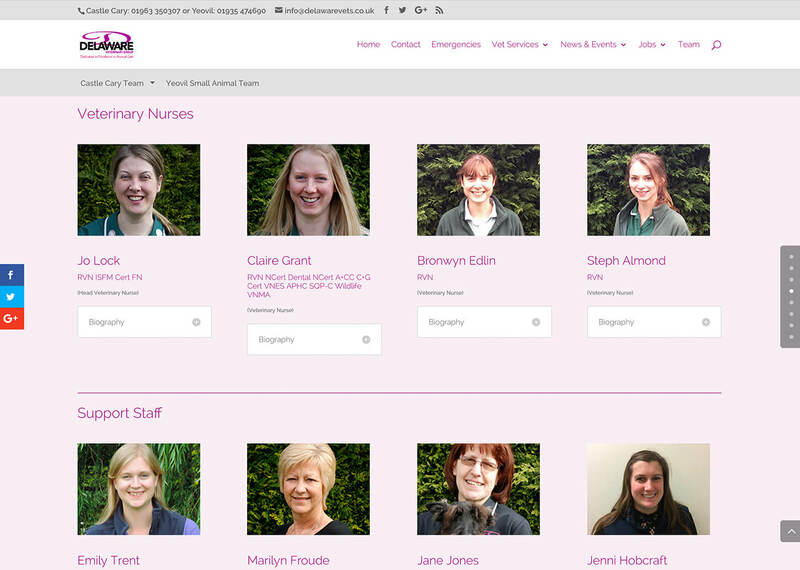 A multi practice veterinary website encompassing two small animal practices, a farm and an equine vet practice. 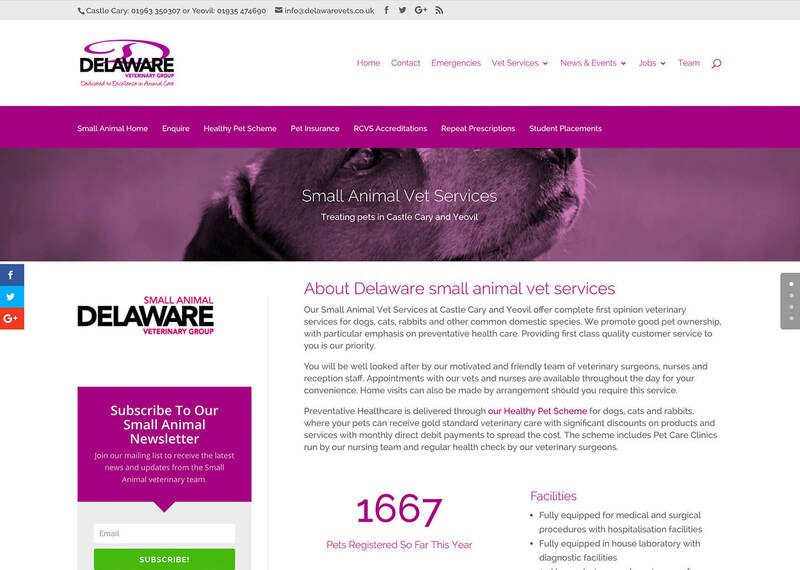 Delaware Veterinary Group were one of our first vet clients. We have worked with them for several years, helping out with marketing materials for their preventative healthcare packages, welcome packs, and newsletters. 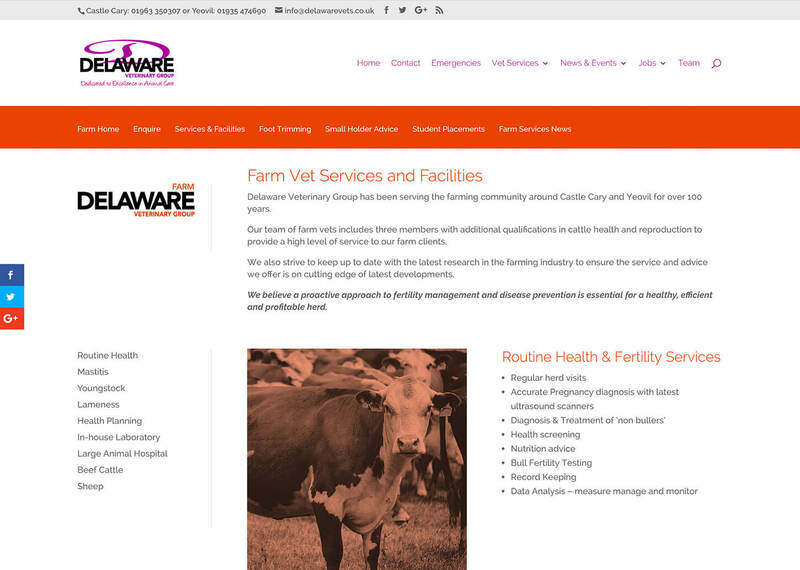 They had a bad experience with a previous web developer who had grossly misunderstood their requirements for their website, having spent over 12 months working on a demo site that did not work and was certainly now the way they wanted it to look or work – their brief to us was to create a user friendly vet website. 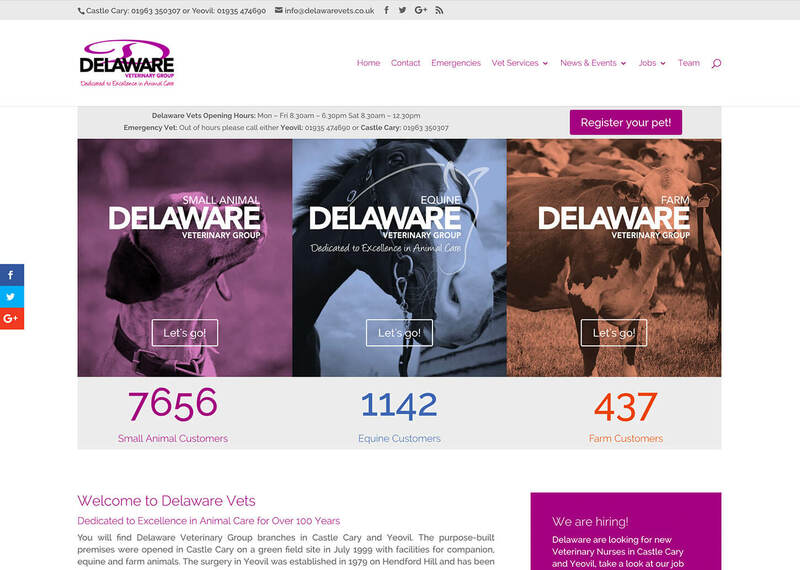 Delaware focus on three different areas of veterinary services; Small Animal, Equine, and Farm vet services. 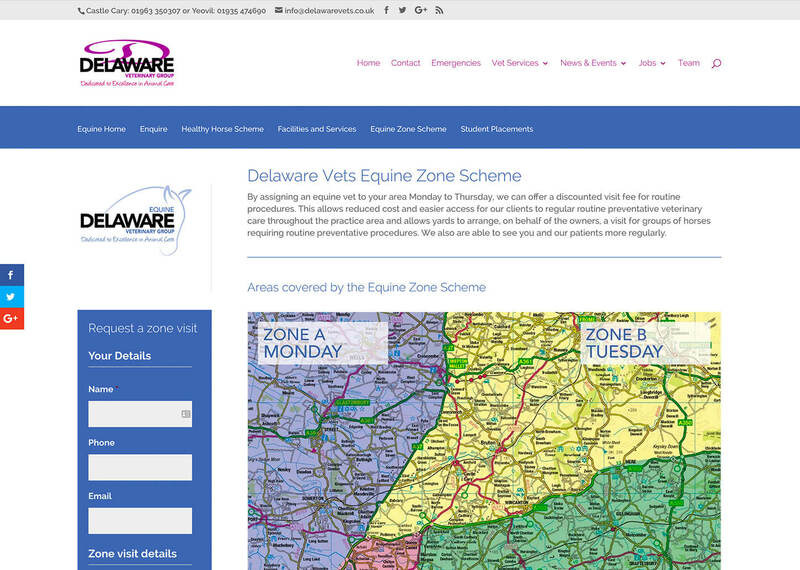 To clearly illustrate this we divided the site into three distinct areas and assigned a colour scheme for each area so users could differentiate between them. 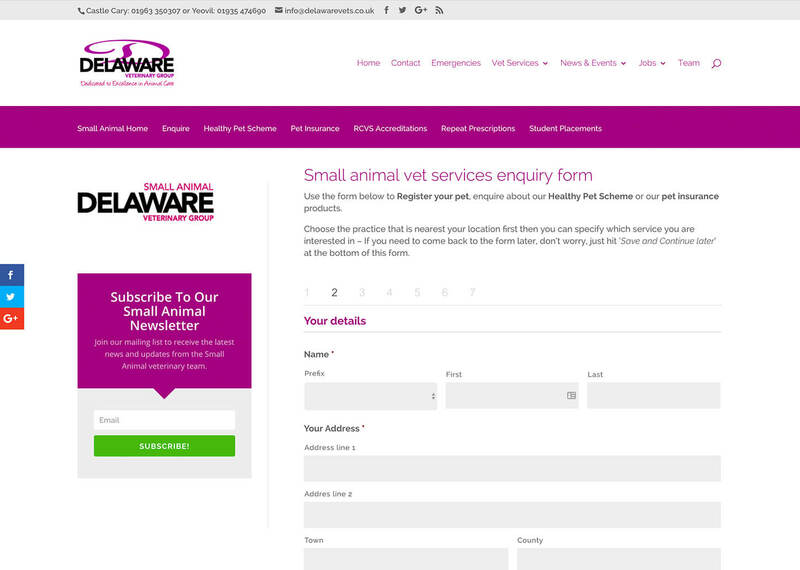 We set ourselves a target to build and have their new website online within 8 weeks. We successfully launched on the planned date and have continuously made updates to the website since and continue to add new content on a monthly basis.